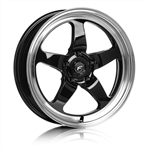 Are you wanting a lightweight, forged race wheel without paying the custom wheel price? 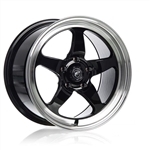 Forgestar has stepped up to the plate to offer their new D5 race wheel for the Ram trucks in a 17x10 rear and 17x5 front. Wheel spokes and barrel are powdercoated black with a polished lip.